This magnificent, hand-made beauty represents Nordheimer upright pianos at their finest. Restored by us many years ago, it has come home to us again. Its owner traded it in for a restored 1881 Steinway Grand! 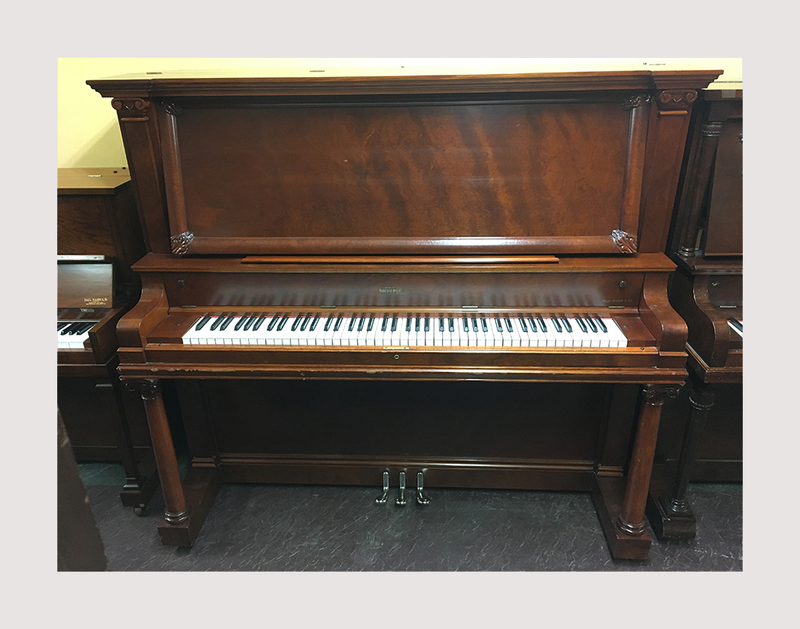 If you want big sound, and big value in a big package, this piano may be perfect for you.